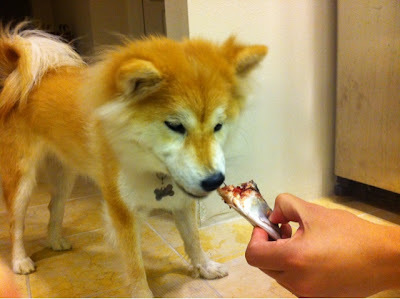 Maya had a "whole" (though cut in half) fish for the first time tonight. 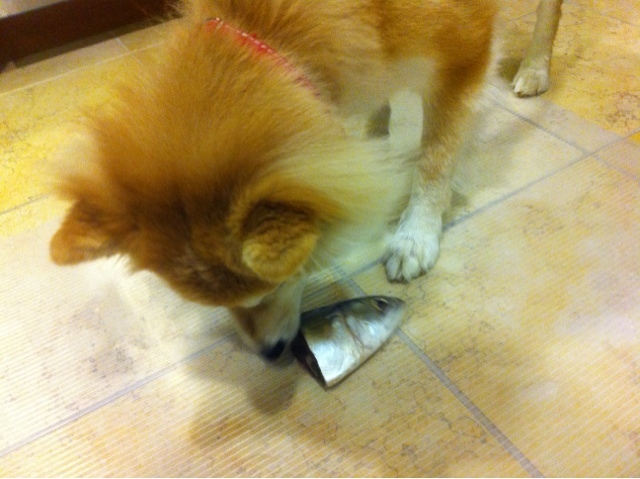 I was worried that she wouldn't like it (cause she didn't like her sardine mix), but she really enjoyed her mackerel dinner. The fish kept "swimming away", so daddy had to hold it for her. I'm just getting caught up on your blog. It's hard to see such a beautiful face looking so sad and itchy! But it really does seem like you're on the right path, and Maya is lucky to have such diligent, loving owners to look after her. And hand-feed her raw fish. That's dedication! 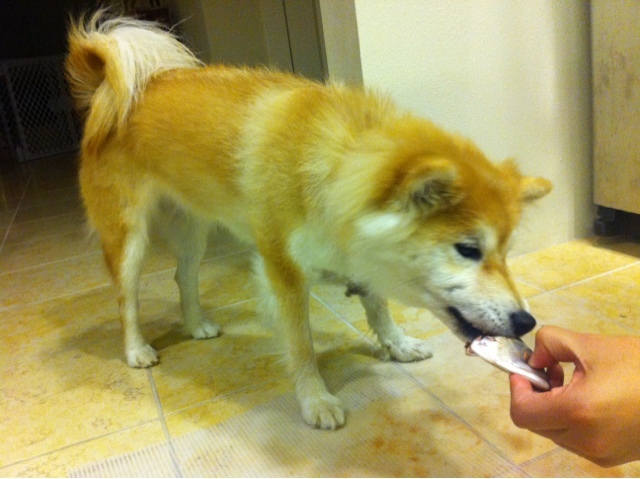 Thank you shibasenji! Your blog and stories gave me much hope during our most depressing days. Hopefully we can stop relying on meds soon as well.